Taipei, July 30 (CNA) Premier Lin Chuan (林全) promised Saturday to coordinate with the relevant agencies to provide financial support for the Kinmen Bridge project. 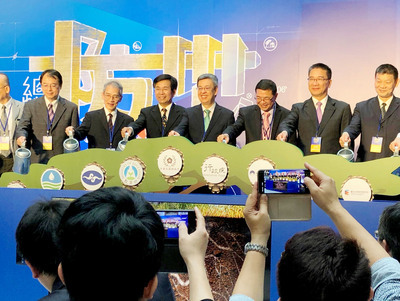 Also, Lin directed the Taiwan Area National Expressway Engineering Bureau (TANEEB) under the Ministry of Transportation and Communications to take steps to supervise the project closely to ensure it is completed on schedule. Lin issued the directive during a visit to the offshore island of Kinmen, where he made an inspection tour of the project and was given a briefing on its progress. Construction of the 5.4-kilometer bridge began in 2011 and will connect Kinmen Island (Greater Kinmen) and Lieyu (Little Kinmen) after its completion. The construction work, however, has been suspended since the government terminated its contract with the contractor on June 29. According to TANEEB head Chen Yen-po (陳彥伯), the bureau decided to terminate the contract because the contractor's poor management had caused the project to lag seriously behind schedule. The bureau is currently inviting new tenders for the project and is scheduled to select a winning bidder on Aug. 31, Chen said. If the construction work is resumed on Oct. 1, the project is expected to be completed by March 30, 2020, the bureau said.